Up to 50% off Rental Cars. No coupon code required. Get 10% off your next order when you sign up for newsletters. No coupon code required. Within 2 days of the pickup date - $55 Or 5% of the prepaid amount(whichever amount is greater). No coupon code required. UK-EN: Airport Car Hire - Quality Cars From £15/day. No coupon code required. US-EN: Book Now & Save 50% on Rental Cars. No coupon code required. US-ES: Renta de Autos -Tarifas Económicas Descuentos Desde 30%. No coupon code required. Orlando Airport Car Rentals as low as $10.77. No coupon code required. Las Vegas Main Street Station Hotel Car Rentals starting from $20.85. No coupon code required. 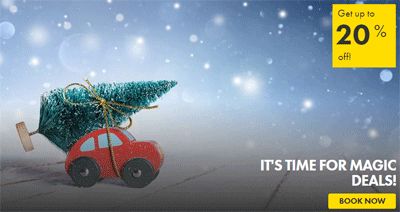 £15 off Selected Bookings at Europcar. Minimum order of £150. Las Vegas Downtown Car Rentals as low as $27.29. No coupon code required. Get up to 20% off magic deals. No coupon code required. Click link to activate. Car Rental - Opel/vauxhall Corsa for $47.23 per day. No coupon code required. 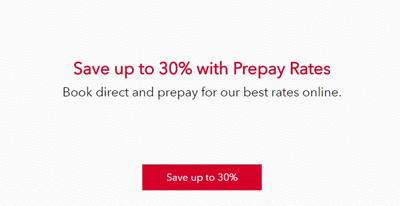 Save Up To 30% With Prepay Rates. Up to 10% off Selected UK Car Hire. Limited time offer. One way only £1 at Europcar. Limited time offer. Airport Car Hire from £49 at Europcar. Limited time offer. Hire a Van from £16 a Day. Limited time offer. Join the Privilege Loyalty Programme for Great Rewards. Limited time offer. Check out the Deals Section for Big Savings. Limited time offer. Canary Islands Car Hire from £16 a Day at Europcar. Limited time offer.